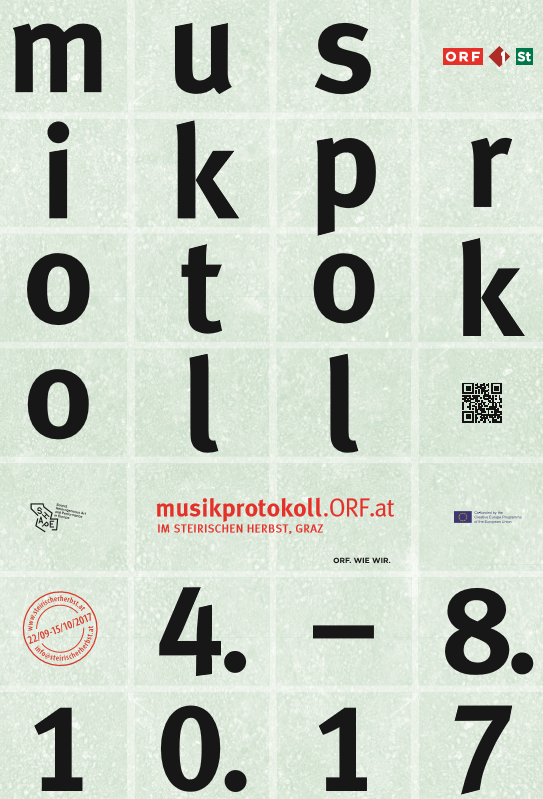 musikprotokoll turns fifty this year. To celebrate this year’s birthday, we are venturing a tongue-in-cheek step back in time: the Vienna RSO is set to play some old-school “ball” music in the Stefaniensaal at Grazer Congress. Visitors can shake a leg to some “Advanced Dance Music” composed by Johanna Doderer, Jorge Sánchez-Chiong, Johannes Kalitzke and many others. Aside from this, we are staying firmly in the present musically: the large-scale world premiere of a composition by Peter Jakober kicks off a series of (world) premieres. Performers include Ensemble PHACE and Studio Dan, Quatuor Diotima, ensemble zeitfluss, and exceptional British double bass player Barry Guy. Stefan Fraunberger and Andreas Trobollowitsch represent the “SHAPE” platform – a project of the ICAS festival network co-founded by musikprotokoll ten years ago – with performative installations and ritualistic concerts. A project shared with the Austrian Cultural Forum New York takes place on the stairs of the Stadtwerke-Haus in the centre of Graz: fifteen Austrian musicians perform a tribute to figures closely associated with New York. True to the central theme of steirischer herbst in 2017, retrospective views, premonitions and departures into the unknown are also the inspirations for musikprotokoll, with its own deliberately high-spirited title: “Thieves, dreamers, dancers”. In other words: we take pleasure in stealing from the past for our future.